Idling cars are the oil industry's playthings. 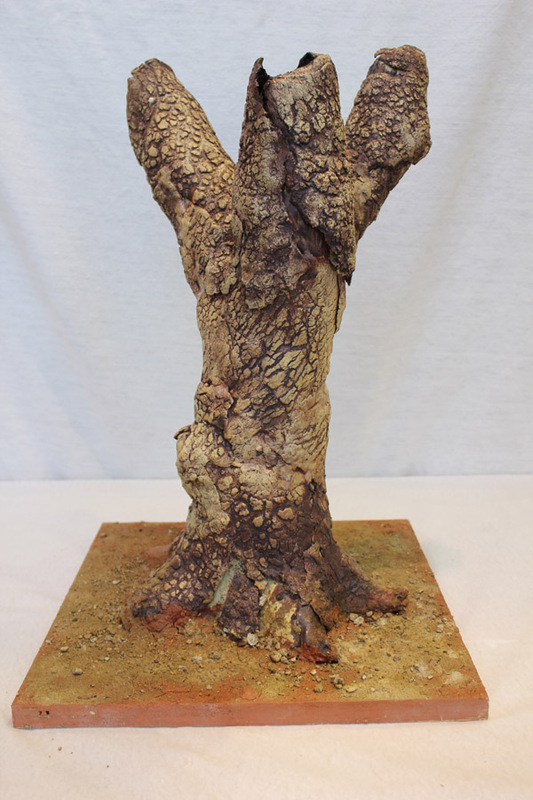 Starting August 1, see selected works from the Art of Conservation on display at Mocha Mott's in Oak Bluffs! Wednesday, Aug. 13, 7:30 pm, Vineyard Haven. VCS, in collaboration with the MV FIlm Society and the Center for Biological Diversity, present The Island President, the story of the first year in office for Maldives President Mohamed Nasheed. The Maldive Islands are a tiny nation threatened with complete inundation due to sea level rise, leading President Nasheed to become a major figure in climate change advocacy. At the MVFS's new theater in Tisbury Marketplace, tickets ($12, $9 for MVFS or VCS members) can be bought at their website. A free Felix Neck program that explores a different aspect of Sengekontacket Pond each week. From the birds above, to the creatures below the water's surface, this program includes hands-on activities for ages 4+. Sponsored by Friends of Sengekontacket. For more info, call 508 627-4850 or see Felix Neck website. Here’s a novel take on summer squash: use it as a pasta substitute! The recipe recommends a julienne peeler, but for the less well-gadgetted kitchen a carrot peeler would work in a pinch; you’ll just have to really dig in forcefully to get thicker strips. It’s definitely not the most resource efficient use of squash ever devised, as you will have to discard a good bit of the center, where they’re seedy and squishy. This is more a recipe for straight necks and zucchini of medium-size or more; save those expensive tiny pattypans for grilling (and check your local farm stand for discounts – sometimes what’s called “overgrown” today is just a little too big for the modern baby squash fad). From a window in my off-Island home l look out on a yard bound in old snow. It is a view without color, everything drawn in gray and white. As winter drags on, I long for the blue sky of summer, for warm sand, for green leaves turning in the wind, for the call of the cardinal – or even the squawk of a gull. Yes, I long for the Vineyard’s summer season, but even more, I long for the Vineyard’s sense of space. Here, in the off-Island world, our vision is limited by boundaries of all kinds – solid walls, high buildings, miles of pavement. In many places it is almost impossible to put a foot directly on the earth, or to see more than a slice of sky. But, on the Vineyard, we see the sweep of the sky, feel the direction of the wind, know the state of the tide, the slant of the sun. From Vineyard roads we look out over rolling fields and see the ocean pulsing at our shore. We peer through gaps in ancient stone walls. We watch the colors change across the Katama plain as summer eases into fall, as the grasses take on coppery shades and goldenrod comes into bloom. Read the rest in our most recent issue of Vineyard Conservation (excerpt here). VCS members receive our print newsletter twice a year. So while the Spring/Summer 2014 issue is now online, join today to receive the next issue hot off the presses! 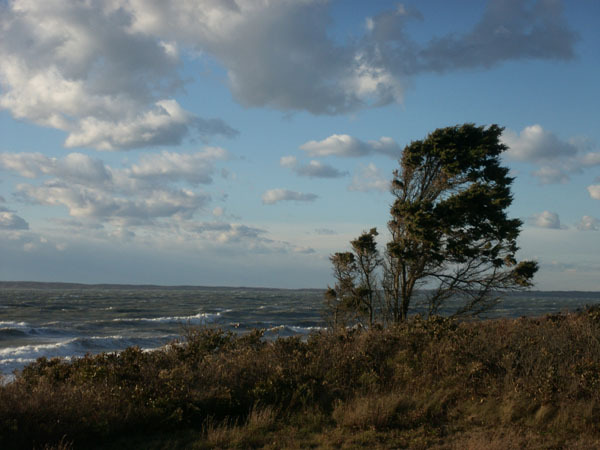 Last week, one of our own made the Boston Globe’s Cape Cod Beach Read series, in which authors share excerpts of their work with the newspaper’s readers. 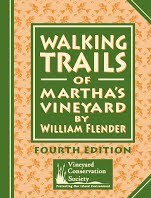 William Flender, creator of the ever-popular Walking Trails of Martha’s Vineyard, shares his thoughts with both loyal readers and people new to the book, as well as a selection of property descriptions taken from the new edition (though the absence of maps really doesn’t do the book justice). First published by VCS in 1996, Walking Trails has long been both a successful outreach and fundraising vehicle. It is truly an excellent guide to the Vineyard’s many public trails (some of them not-so-well-travelled), with full-color maps and thorough descriptions; in addition, though, sales benefit the land protection and advocacy work of VCS. You can pick up your copy of the 4th Edition for $15 at many local retailers (see this page) or online through our donation page (select the $20 option). Every summer, gasoline prices across America rise due to the increased driving associated with vacations and holidays. On the Vineyard, with our roughly $1/gallon premium, any extra summer surcharge provides strong motivation for some introspection regarding our driving habits. For the next few weeks we’ll take a look at some fuel-saving tips and other interesting stories from the world of gasoline. First up, idling: Knock it off already! The simplest reason is that, on average, idling 15 minutes a day for a week burns a half to a full gallon of gas. Somewhere along the line, most of us had a teacher explain to the class how a “zero” on any assignment would totally ruin your average, so you had better make sure to turn everything in. That’s how idling for just a little while can drop the gas mileage for a whole week by a meaningful amount – it’s a big fat zero MPG thrown into the average. But, contrary to conventional wisdom, it’s also not good for the car. Today’s engines do not need to warm up (even in cold weather), and excessive idling can actually cause damage. Further, by not idling a cold-started car, emissions are reduced above and beyond simply avoiding what would have been emitted during the idling. That’s because while the car doesn’t need to warm up, catalytic converters do, so that they can most effectively remove toxic pollutants from the exhaust – and this happens more quickly when driving than idling. The takeaway? While idling a cold-started car, it is sitting in one place emitting exhaust that has not been though a fully-functioning emissions system. Better to get that show on the road. Nothing can truly compare to the feeling of standing inside a breaking wave, but the work of photographer Clark Little comes close. He describes his technique of capturing the power and complexity of waves breaking at the shore as viewing “waves from the inside out." This short video delves into his methods and motivations, and his very sudden rise to fame.